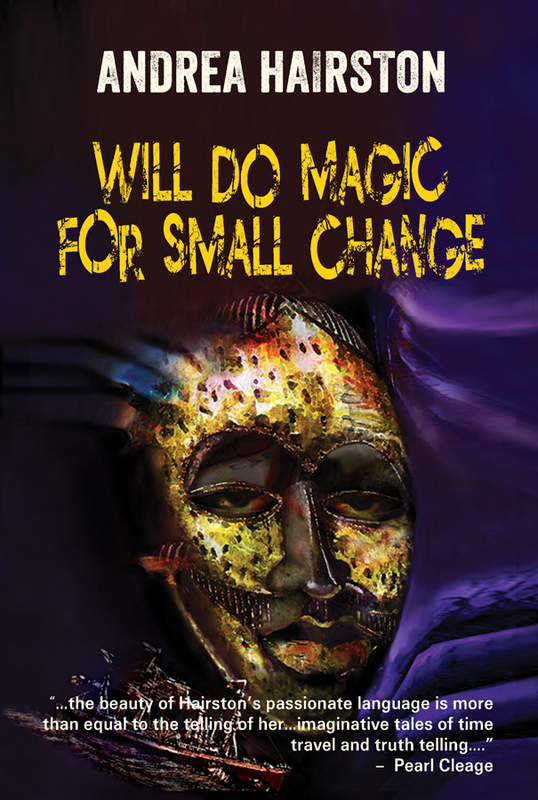 I'm pleased to announce the release of Will Do Magic for Small Change, a new novel by Andrea Hairston, in both trade paperback and e-book editions.You can purchase it now at http://www.aqueductpress.com. It will be available elsewhere soon. Cinnamon Jones dreams of stepping on stage and acting her heart out like her famous grandparents, Redwood and Wildfire. But at 5'10'' and 180 pounds, she's theatrically challenged. Her family life is a tangle of mystery and deadly secrets, and nobody is telling Cinnamon the whole truth. 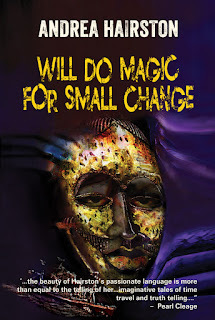 Before her older brother died, he gave Cinnamon The Chronicles of the Great Wanderer, a tale of a Dahomean warrior woman and an alien from another dimension who perform in Paris and at the 1893 Chicago World's Fair. The Chronicles may be magic or alien science, but the story is definitely connected to Cinnamon's family secrets. When an act of violence wounds her family, Cinnamon and her theatre squad determine to solve the mysteries and bring her worlds together. The entire work is filled with magic, celebrating West Africans, Native Americans, art, and love that transcends simple binary genders. Hairston's novel is a completely original and stunning work.